Percussionist Daniel Pate is an international performer, collaborator, curator, researcher and educator dedicated to the dynamic and inspiring performance of today's most daring new music. He is constantly working to expand the concept of the contemporary percussionist through adventurous programming, diverse commissions and engaging performances that feature exciting electronic and visual elements. Dr. Pate works to create an inviting concert environment grounded in personal emotions and topics where audiences can experience these works both visually and aurally in a way that is familiar to them . As a performer his work can be seen frequently in New York City and the surrounding areas. He has presented performances at the 48th International Summer Course at Darmstadt, Germany, the Green Umbrella Concert Series held at Walt Disney Hall in Los Angeles, The Ojai Music Festival, the Mondavi Center, Symphony Space in NYC and The Abrons Center in NYC. He has also presented concerts and masterclasses at Southeastern Louisiana University, New York University, Gettysburg University, Denver Metropolitan University and Mesa College. As a passionate advocate of contemporary music, Dr. Pate has commissioned works by Martin Bresnick, Nathan Hudson, and Howie Kenty and presented premiers by Paula Matthusen, Kristen Broberg and Adam Beard. He currently serves as the vibraphonist known as Tempus Rhythmicus in the Electronic Chamber Ensemble "Swarmius" as well as a performer in the Stony Brook Contemporary Chamber Players and a guest performer with the contemporary ensemble “Red Fish, Blue Fish”. 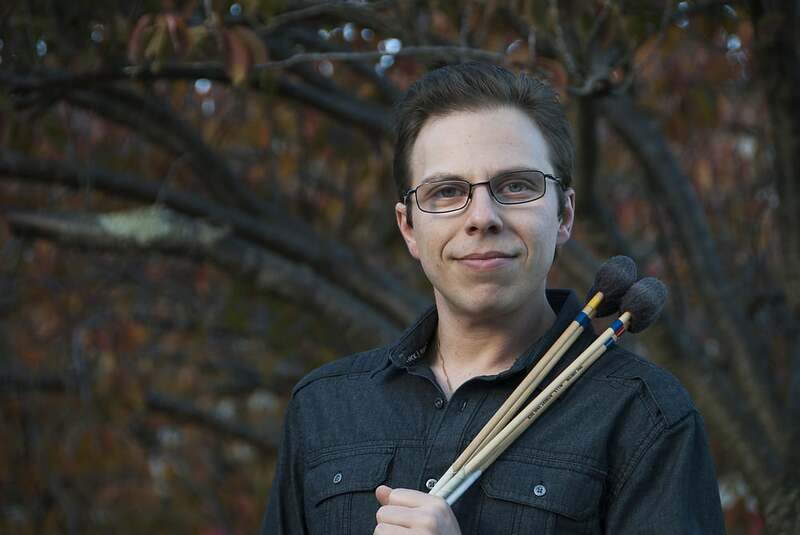 Currently, he serves as percussionist and a member of the steering committee for the New York Electro-Acoustic Music Festival as well as a member of the percussion faculty at Blue Lake Fine Arts Camp where he performs frequently as a soloist, chamber musician, and with the Blue Lake Festival Orchestra and Band. Dr. Pate has earned a a Doctorate in Percussion Performance from Stony Brook University under the tutelage of Eduardo Leandro and Is a Member of the Contemporary Chamber Players, He also holds an Master's Degree from The University of Massachusetts in Amherst As well as a Bachelor’s Degree in Percussion Performance from San Diego State University. During his studies, Mr. Pate has worked with such performers as marimbists Robert Van Sice, Gordon Stout, Christopher Norton, Nancy Zeltsman, and Michael Burritt, as well as percussionists Steven Schick, Christian Dierstein, Jack Van Geem, and Raynor Carroll. Mr. Pate endorses Vic Firth drumsticks and mallets.